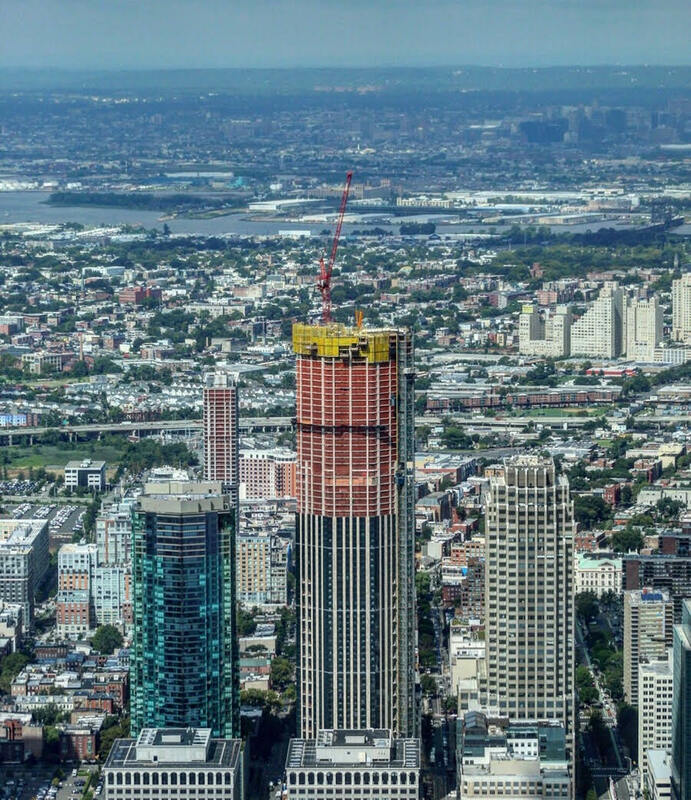 With several more floors left to add, Jersey City’s 99 Hudson Street is almost at its final pinnacle 900 feet above street level. 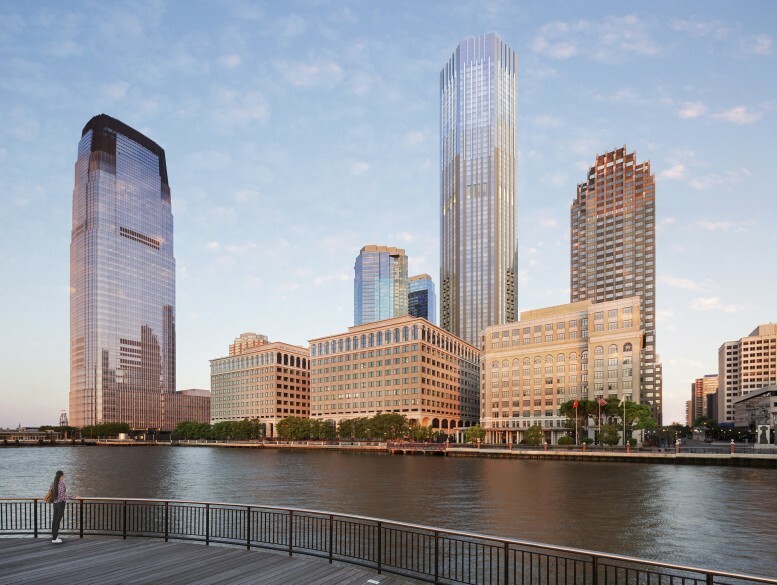 While the crown remains to be completed, it has now officially surpassed 30 Hudson Street, the 781-foot home of Goldman Sachs two blocks to the south, which has held the title of the tallest skyscraper in New Jersey since its completion in 2004. 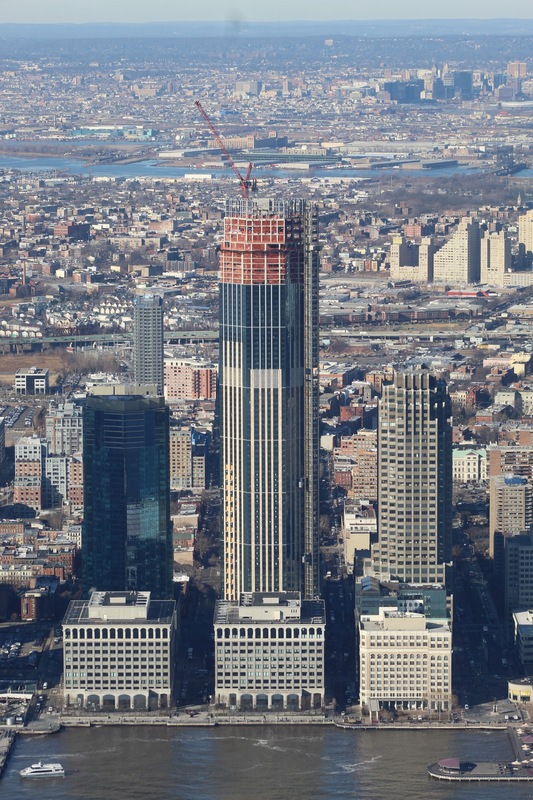 Last week, YIMBY was taken on a tour of 175 Greenwich Street, aka 3 World Trade Center, visiting the rooftop, the terrace, and the lobby. 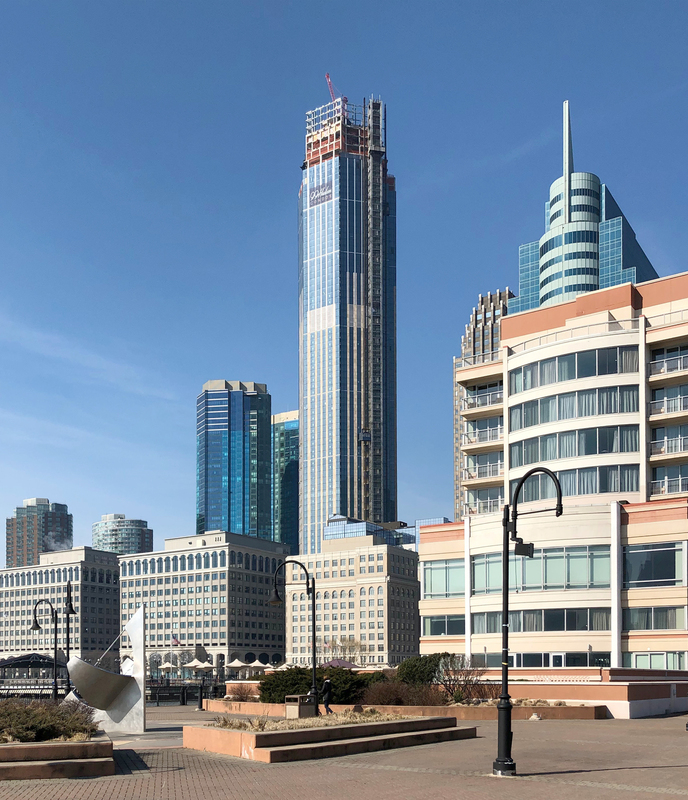 The building, located in the heart of the Financial District, has made incredible progress, with the façade now complete save for windows connected to the exterior hoist. 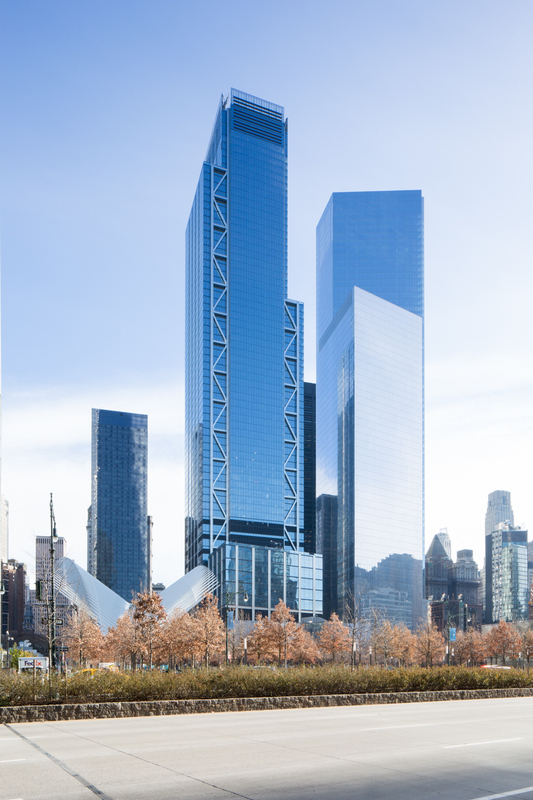 Interior work is also approaching the finish line.